The Nollywood Diaspora Film Series is pleased to present it’s second annual forum, themed Cultural Confidence: Acquiring and Negotiating Authentic Cultural Identity in a Globalized World. In commemoration of the 100th anniversary of the creation of Nigeria and 54 years of Nigerian independence, NDFS will screen world-class films of New Nollywood and host panel discussions on pertinent issues facing Nigerians at home and abroad. 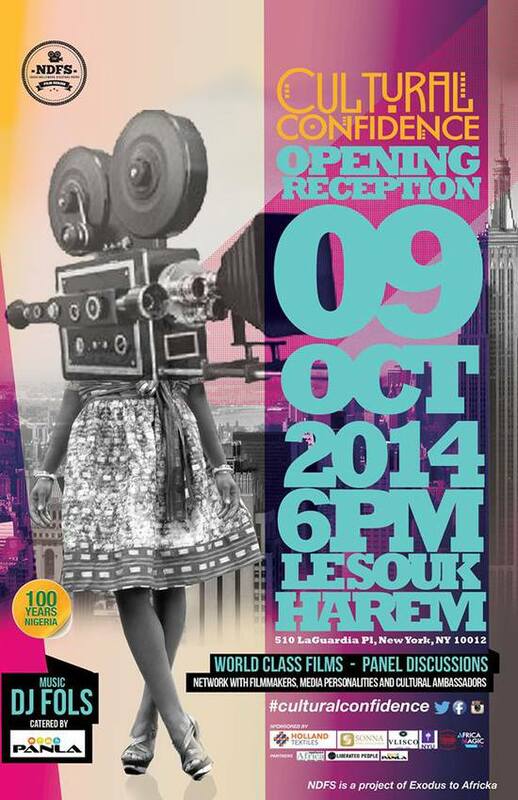 Join us for our reception at Le Souk Harem. This event will be hosted by Panla with food and music from Africa.